It is never easy to create a fantastic HTML message, especially from a WYSIWYG (what you see is what you get) editor online. Advanced HTML designer doesn't like Dreamweaver or other editing tools, because it may bring some redundant code to you at the same time. It is lucky that we provide method for you to directly edit the HTML code on top of the visual editor. 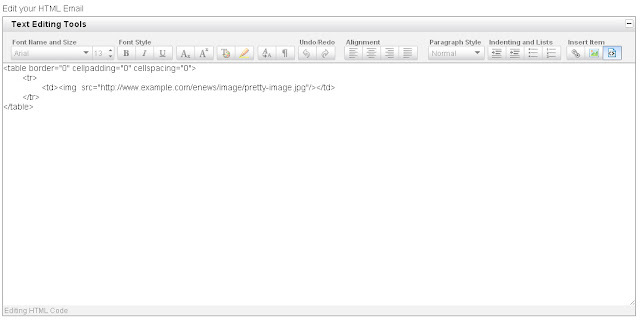 In our editor, just press the HTML code button (next to the image button), you can directly paste/edit the HTML code there. It makes senses, right? 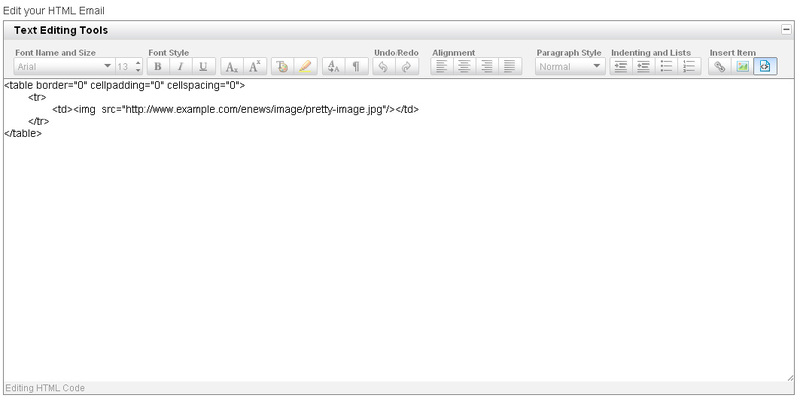 How come we know where is the exact location of "images/pretty-image.jpg" if you don't tell us it is from "http://www.example.com/enews/". Can the click-throughs to the urls inside the email content be tracked?